As you've seen I'm currently doing a few more detailed pages on our summer hols, this latest one is about our train journey to Brum, Kai's first ever train journey. 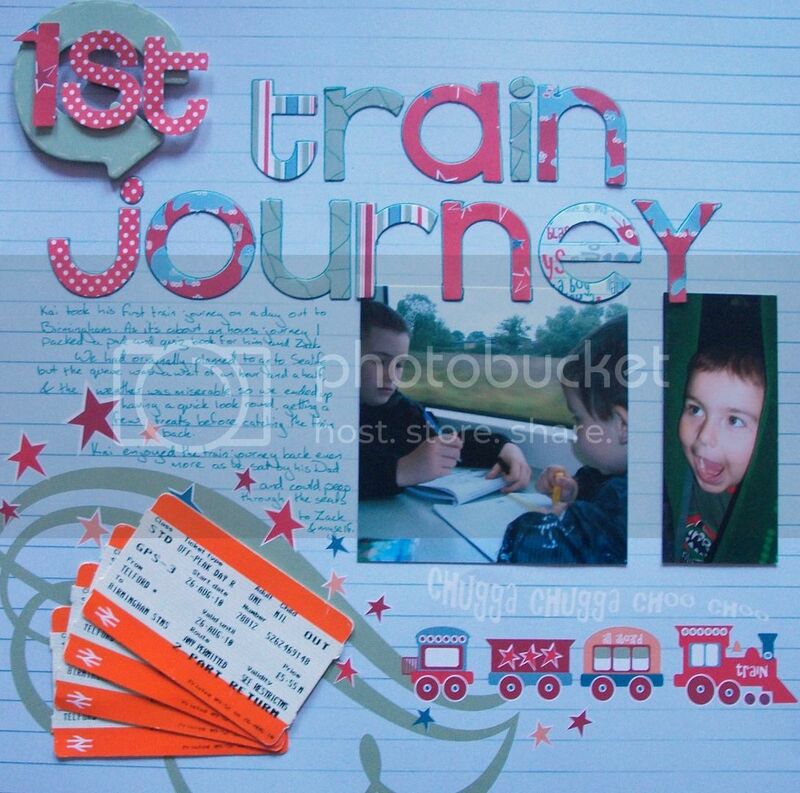 I used 4 tickets from the journey to add details to the journalling such as the date we went. this is one of my fave pages ever of yours! looks brill!